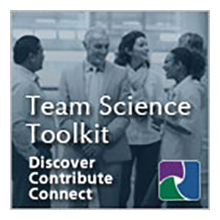 The Science of Team Science (SciTS) is a rapidly growing, cross-disciplinary field that is building the evidence base for effective and efficient team-based research. Its goal is to enhance the scientific findings that team-based research produces. The annual SciTS conference is the international forum dedicated to SciTS, with perspectives from a broad range of disciplines and fields including: communications, management, social and behavioral sciences, information technology, systems science, humanities, and translational research. The 2019 conference will bring together thought leaders in the SciTS field, scholars and educators engaged in team-based research, institutional leaders who promote collaborative research, policymakers, and federal agency representatives. It will also provide investigators, academic administrators, and funders with state-of-the-art knowledge, strategies, and connections. This year’s SciTS conference will be hosted by Michigan State University in Lansing, Michigan. In addition to the integration of empirical data and theory into the practice of team science, the 2019 conference will feature team-based research in the agricultural and natural resource sciences. The conference will also feature invited speakers, as well as submitted panels, papers, and posters. Due to its diverse participation, the SciTS conference serves as a focal point for engaging stakeholders and communities of interest. Sponsors will have the opportunity to interface with more than 200 representatives from all levels and fields involved in team research, including industrial, academic, clinical, and public agency partners. Sponsorship packages have been designed to facilitate maximum visibility at the conference and, in many cases, feature opportunities to be promoted before and after the event. Click here to download the full prospectus to learn how you can sponsor the 2019 Science of Team Science Conference.